You are here: Home / Sewer / How Deep Are Sewer Lines? 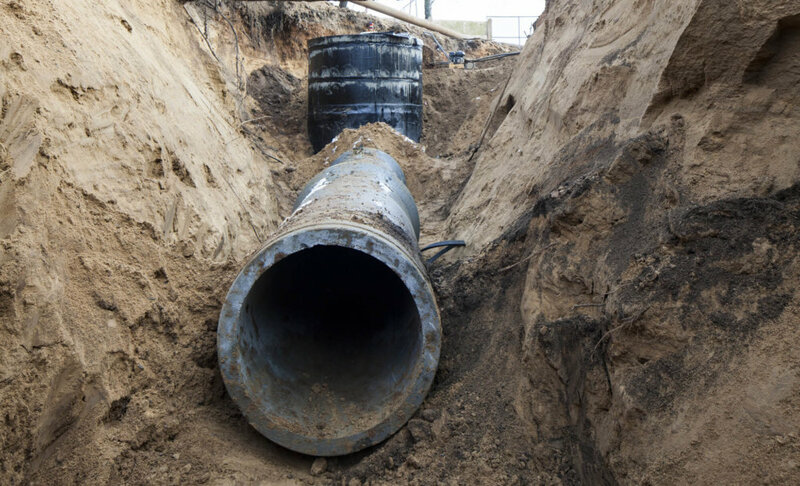 Sewer lines must be buried within certain specifications and it’s your job to know what those specifications are before you start digging. If you’re wondering, how deep are sewer lines, then you’ve come to the right place. Here, we’re discussing some main points to focus on when replacing your sewer lines. It’s a question with a lot of meaning, especially when renovating your home, performing repairs, or getting ready to build on a new plot of land. You’ve got to understand how far down to dig, not only so that you don’t get fined for noncompliance, but so your pipes don’t freeze or burst with the weather. Join us, today, as we put sewer lines under the microscope, and get ready for a deeper understanding of this important home building standard. Sewer lines are the intestinal systems of a house or business. They carry out wastewater and various forms of waste from your toilets, drains, shower, dishwasher, and outside faucets. It’s important to keep this basic function in mind before we move onto our first concern in terms of sewer line depth: the cold. In a perfect world, you’d be able to dig your home’s sewer line just deep enough to cover it with a thin layer of sod. But if you live in an area with deep-running cold, the inclement weather might freeze your waste, right in the pipe. And that could extend to other serious weather conditions, as well. While you may not think it, hurricanes and heavy wind can tear out ground deep down, especially if it were to pull up nearby trees with deep roots. The point is, you need to take the question of “How deep are sewer pipes?” seriously or it may cost you more than it’s worth, in the long run. The depth of sewer lines varies greatly. They can be as shallow as 12″ to 30,” or as deep as 6+ ft. Often times this is simply a matter of climate. In really cold climates, the pipe is buried deeper to prevent the pipe from freezing solid in winter. Every now and then you will run into a sewer line that is buried deep even in a warm climate. Now, onto the question at hand: How deep does a sewer line need to be? Unfortunately, the answer to this question is more subjective than you might expect. Depending on your state, city, or even country, there will be clear standards for how deep to dig your sewer pipe trench. Start by taking a short trip to the zoning or building office of your local municipality. Towns tend to keep information on existing property maps and sewer lines, giving you a clear answer. Beyond that, you might be able to consult with local construction companies on the matter. Ask “How deep are residential sewer lines buried?” and you’re likely to get a quicker answer than anywhere else you might look. On average, trenches should be around 12-24 inches-deep, and wide enough to house your pipe comfortably before filling it in with soil and sod. As we’ve mentioned, in cold weather regions, this will need to be deeper or you’ll have problems with your sewage freezing. Frost lines can reach down as low as four feet below the surface. Digging a sewer trench isn’t a complicated process. Simply research the standard in your city or state with the local municipality, and work according to that. If you need help with your sewer line give us a call at (402) 731-2727 and have a highly experienced local professional take care of it for you!